Babies | Discovering My Heart! It is time our new addition makes her appearance. Robert, Tobias and I welcomed a beautiful and healthy baby girl in April. Hailey has been an excellent addition to our family and is as sweet as can be. I have put off this post for quite some time since I was struggling with my own well-being, so my Hailey Bug is almost 6 months old now. She is honestly such a joy and is learning to find her voice. She adores her older brother, and he is smitten with her. In fact, Tobias is the one who got Hailey to laugh for the first time. There are so many stories I could tell, but I think it may be better just to show some of her moments over the last few months. There will be more updates on Hailey and Tobias to come. Each day I continue to discover my own heart and what the Lord has in store for me. Recently I had a great friend come over to visit my family. It was great catching up, and like all people who don’t have kids… they have questions. Heck, I still have questions! What Does He Really Do? Don’t let anyone tell you different. 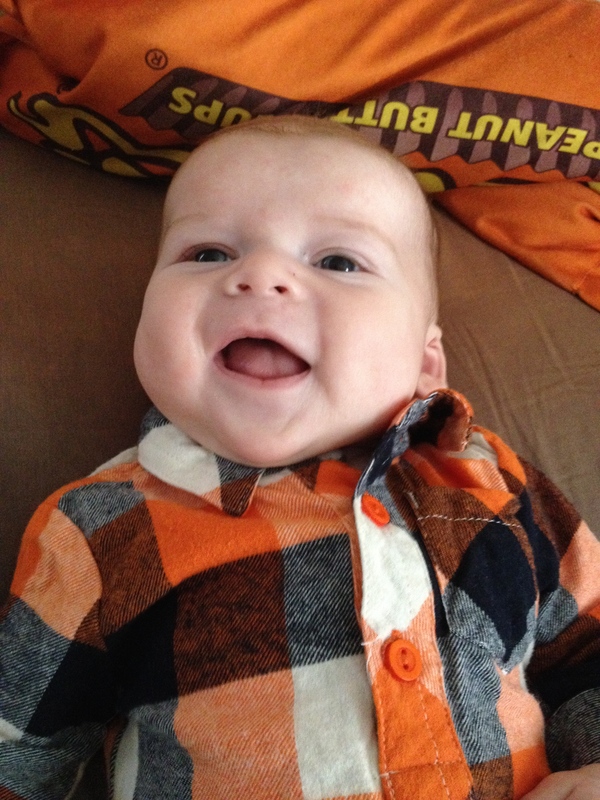 Until a baby can smile at you on their own, not a reflex, there really isn’t much that they do. Don’t get my wrong, you should smile, tickle and “play” with your baby as much as you can. This will help build not only your relationship, but also your child’s motor skills. What a baby can do and what you can do with your baby are two totally different things – at least in my mind they are! If you don’t engage your baby then typically they are just laying there, staring into space, or at their hands if they have reached that stage (My son is fascinated by his hands right now). 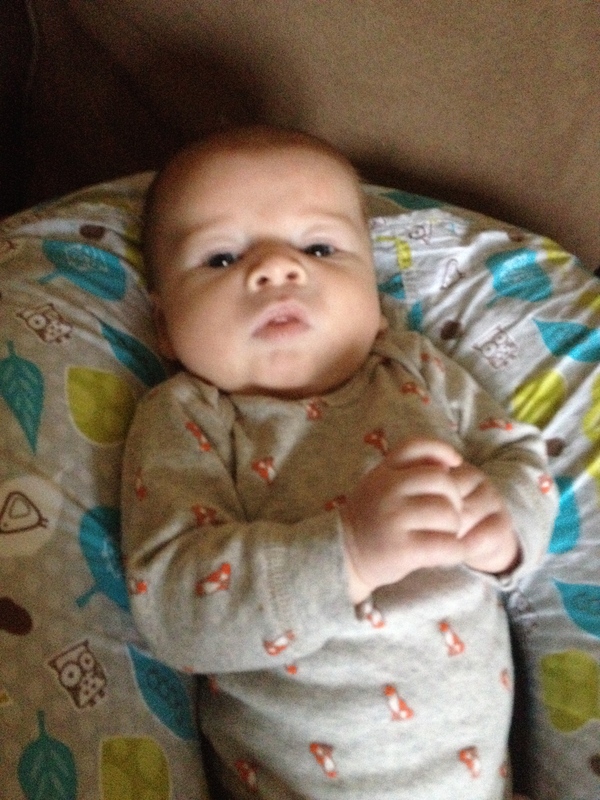 Tobias still hasn’t developed his muscles enough to sit up yet, so our playtimes are limited to just a few activities. Here are 3 games my son loves so far. Yes this sounds like a trivial game, and your baby may not know what you are saying or doing, but you are engaging them with touch and sound. For my son I get as close to him as possible so he can look at me and watch my expressions then I touch his nose and say either I got your nose or Beep. He loves it, a smile will spread over his face in a second and we can do that for 15 minutes before he gets tired of it. Tobias playing I’ve Got Your Nose with momma! My husband does a different game to this where he says he is going to “eat his nose” and will use his face to get a smile from Tobias. This brings me to a side note, do you ever say, “I’m going to eat you up,” to your child? This saying really freaks me out and I recently just read an article that gave me a clue as to why people say that. Why Do People Want To ‘Eat’ Cute Babies? Scientists Say It’s Their Smell by Lizette Borreli on Medical Daily. 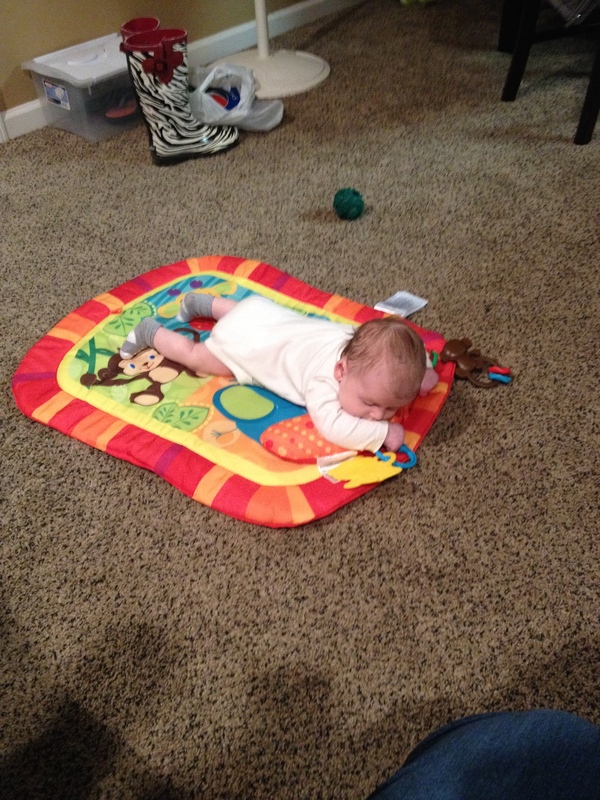 Now if you haven’t tried Tummy Time then you are missing out. I even enjoy Tummy Time, but for an infant it has a lot of benefits. It not only helps them with their neck muscles, but it does also help with leg, arm and abdominal strength. Since my son is a bit older now and has way better head control we took Tummy Time to the next level and added in some things for him to reach for. He loves reaching for the little toys and well – he just loves to be on his tummy. 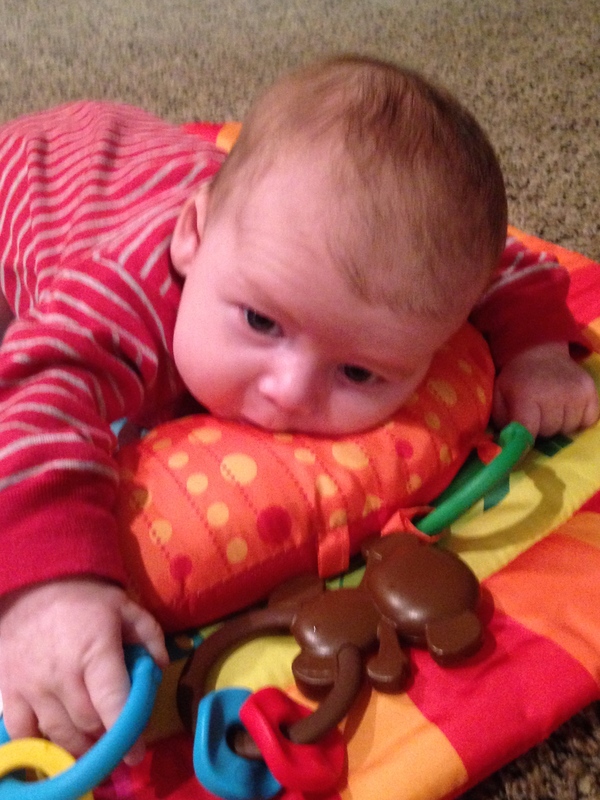 Tobias Tummy Time Tug – he loves reaching for the monkey! Note: this should be common knowledge, but just in case it isn’t please don’t leave your child alone while they are doing Tummy Time (or really ever!). They can get tired easily and if they drop their head they can hurt themselves. Now this game is self explanatory, but just in case – Pick up your baby and move! My son loves to dance with me. I will either hold him, or use a harness and we will dance around the house. Now this puts a smile on his face quickly, but it also overstimulates him. That being said, only do this game in short bursts if you have a child that over stimulates easily. My son can personally handle this game for about 5 minutes then he is tired and wants a nap. It maybe a short game, but it keeps him alert and he is engaged with sound and touch while we are playing. Keep in mind that every child is different and my experience is based of my child, but once games are done we typically have a cool down time. 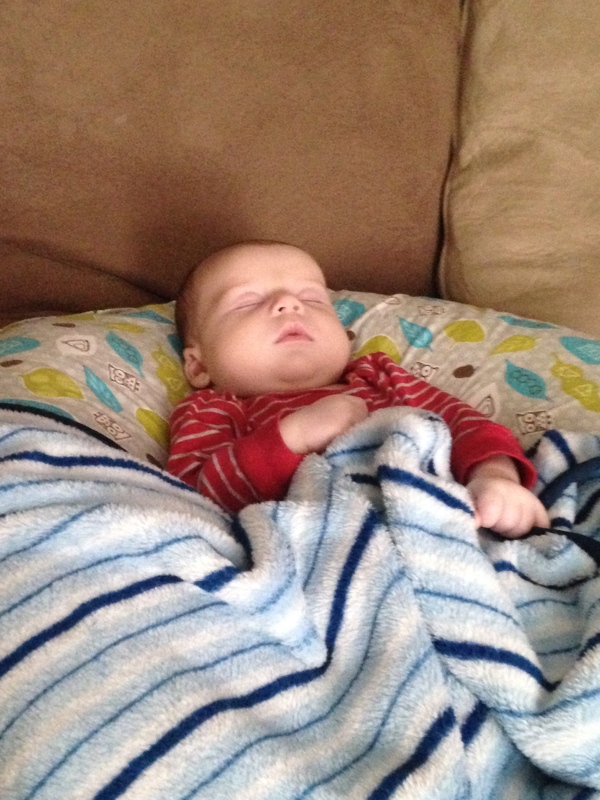 This is a time that we try and settle down right before its time for a nap. Tobias personally likes to listen to music on his Boppy or laying flat on the couch. I have learned that nature sounds and classical music help him calm down (anything with words in it tend to overstimulate him once he is done with an activity). Tobias was tired from all the fun we had! Here is a link to Tobias’ Personal Favorites: Sleep, Baby Sleep by Twin Sisters Productions, and John Tesh Classical Music for Babies (and their Moms) by John Tesh. If you have missed your window for cool down time and your child has reached the COMPLETELY OVERSTIMULATED phase of the day be patient and just hold them close. I have been there – a lot! I was having so much fun playing with my son that I didn’t watch him closely enough to realize he was just DONE! Go and enjoy your infant and have fun! What games do you like to play with your babies? Leave them in the comments below!